Chris Johnson (Magnet High foil, saber, and epee fencer) posed with left-hander Hunter Wert. 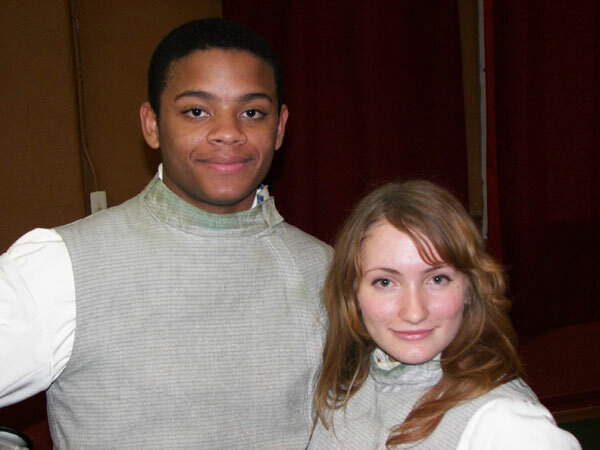 Hunter learned to fence at the Winter Garden Fencing Academy near Orlando, Florida. Hunter lives there and in Shreveport as her dad is a Prop Master in the film industry. Hunter is training to do just the same as her dad. She has just turned 14.